Posted on August 31st, 2014 by Scooter. Posted on February 25th, 2006 by jayKayEss. Here’s a fun album that’s sure to irritate Classical musicians and delight bongo fans. Classical standbys by Debussy and others, arranged with a swingin’ Latin beat. Surprisingly sweet and listenable. 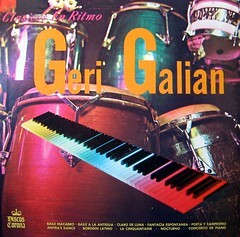 I tried looking for some info on Galian, but aside from the occasional listing at used record stores (and this photograph,) he seems to be practically unknown. 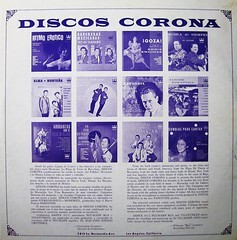 I have a few other LPs from “Discos Corona,” and they’re almost always a good listen.